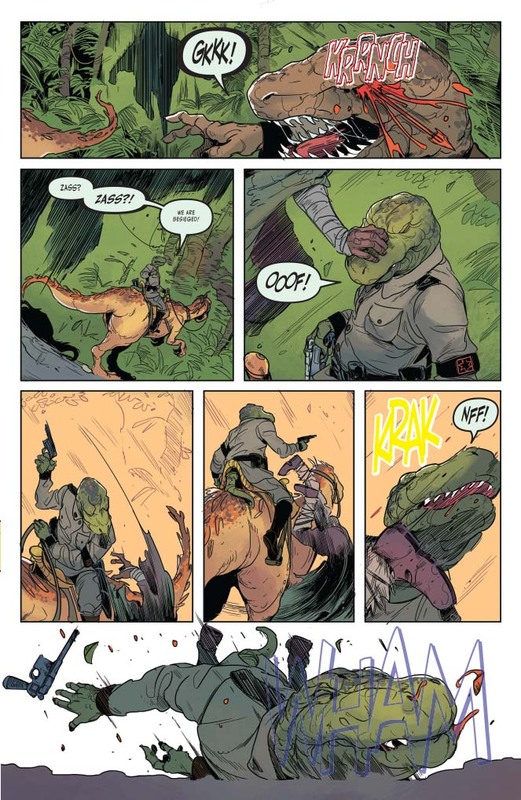 The fascist Saurian soldiers of the Varanid Empire-part dinosaur, part man, all bad news-have seized control of the Lost Valley, and only the mysterious man known as Turok is willing to stand against them! 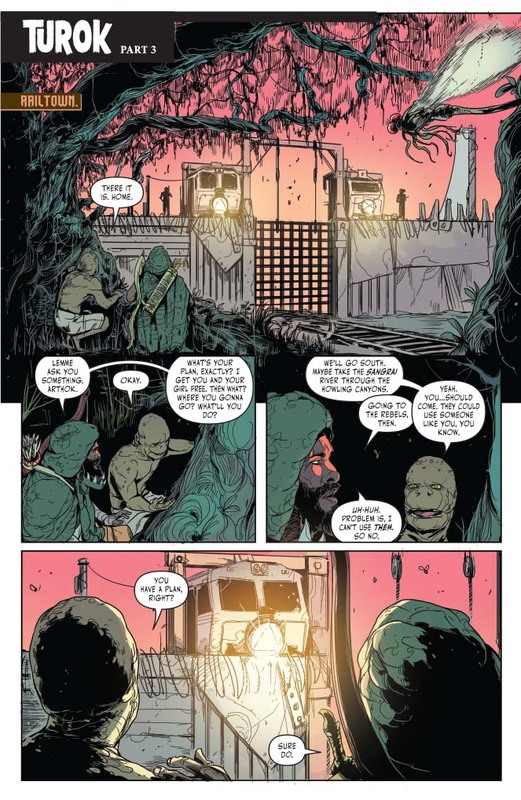 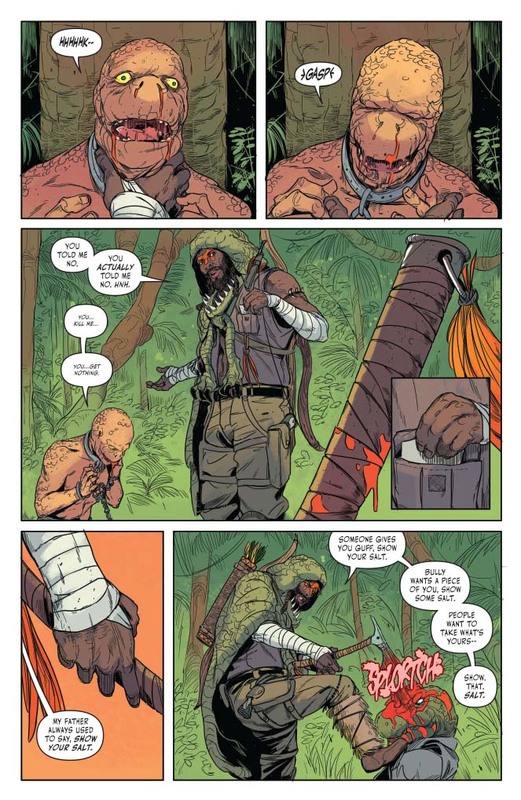 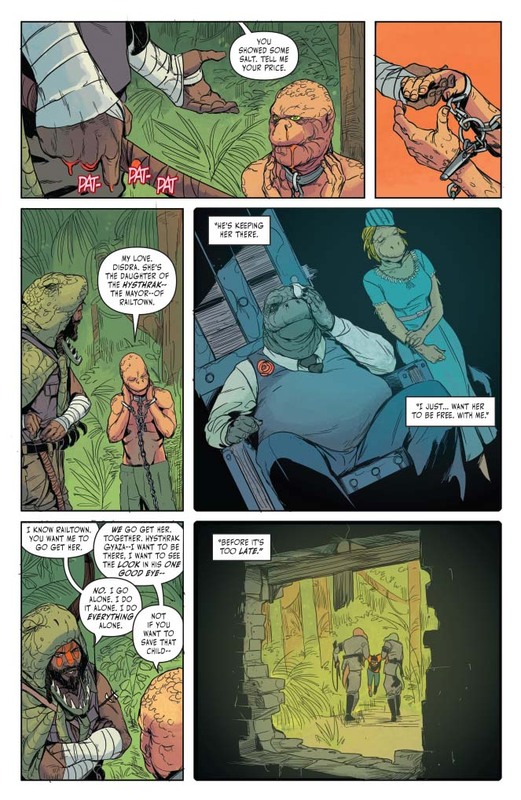 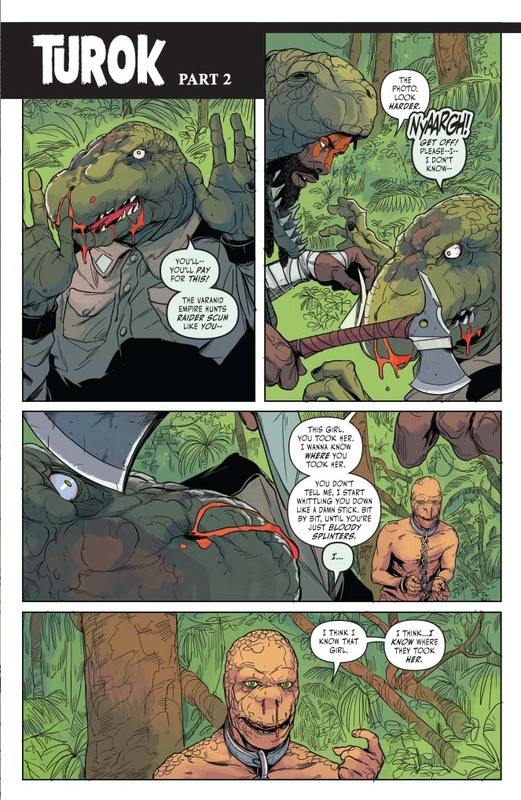 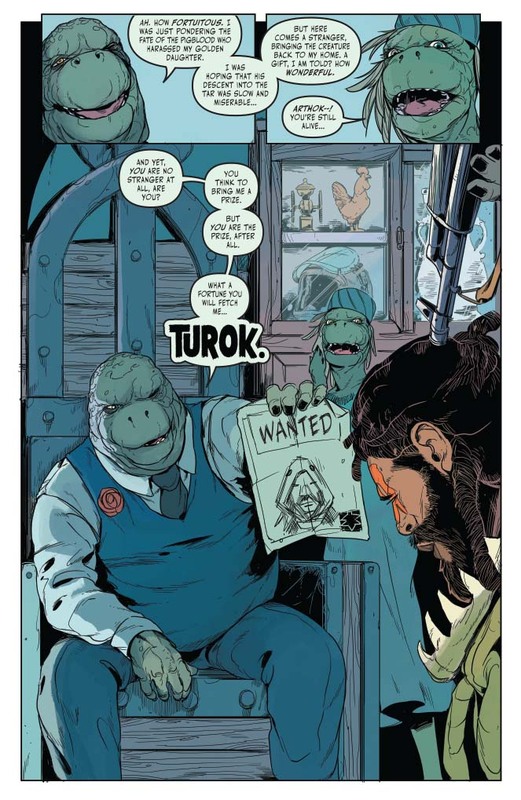 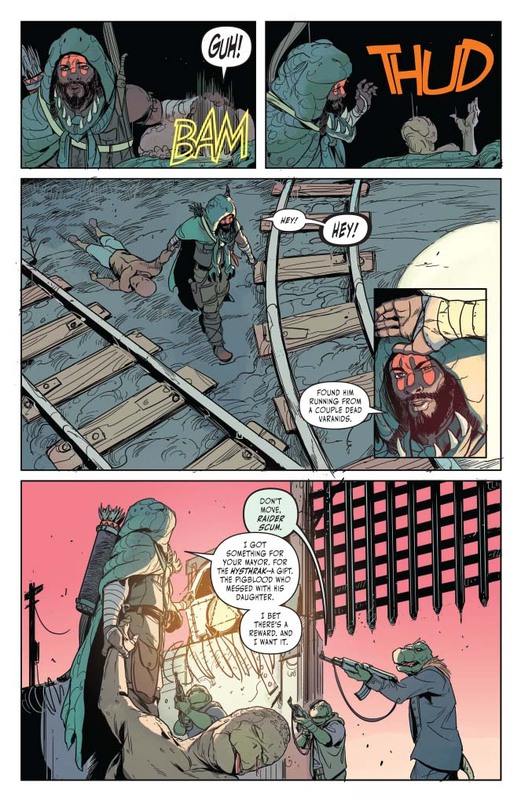 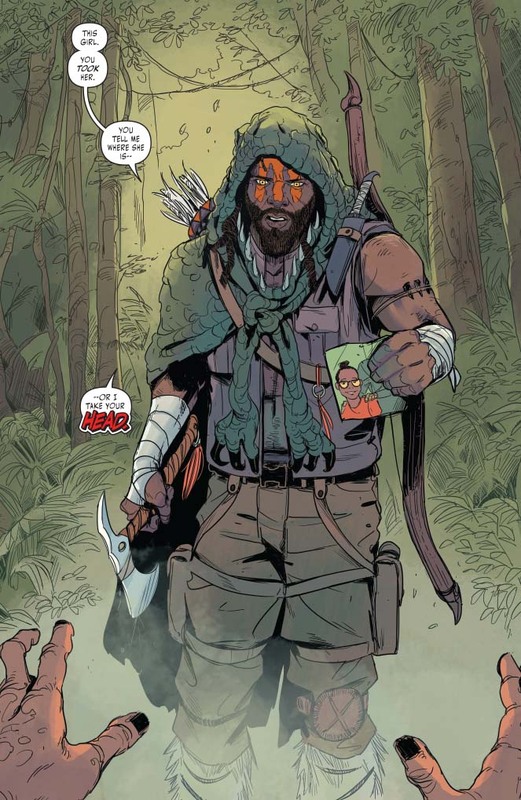 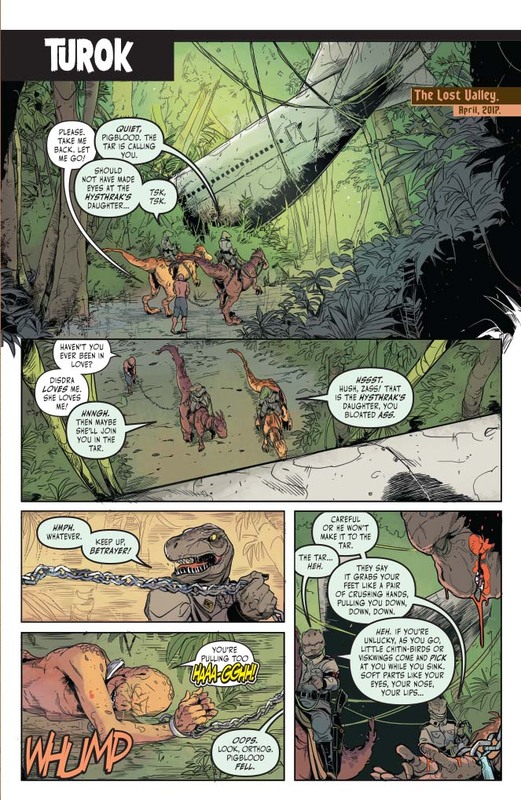 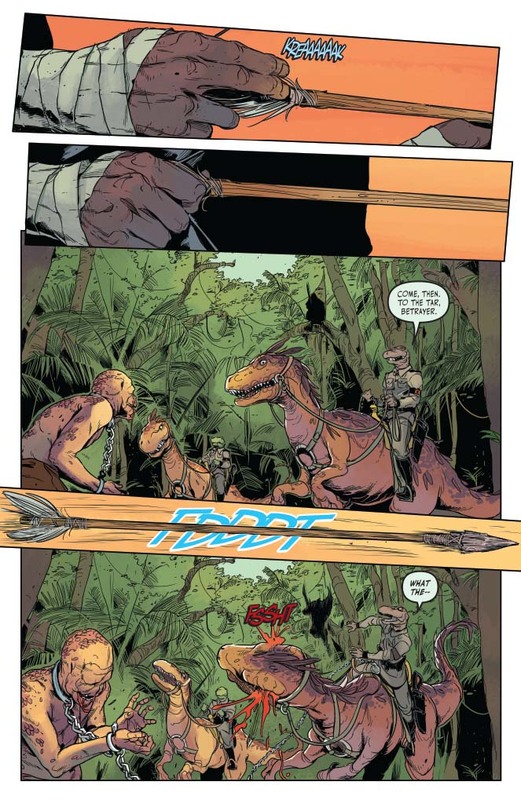 But the all-new Turok only cares about one thing: he’s on a quest to track down a missing girl - and she might hold clues as to how the Lost Valley has changed so much! 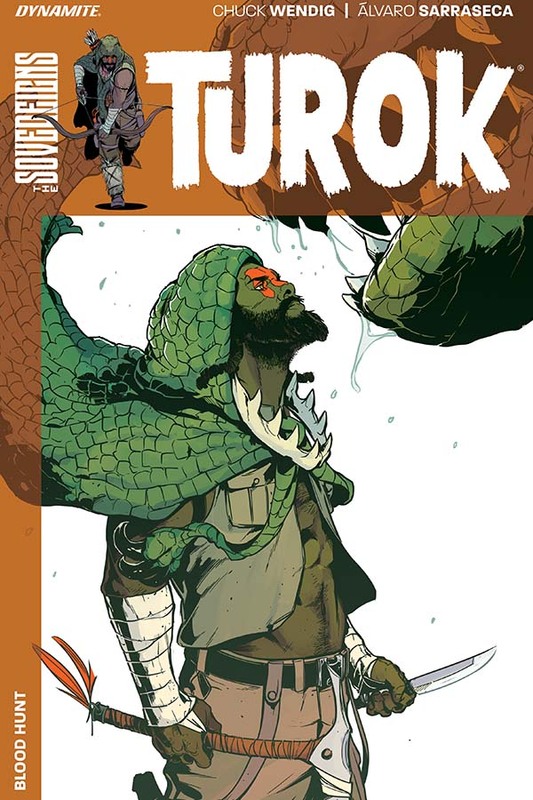 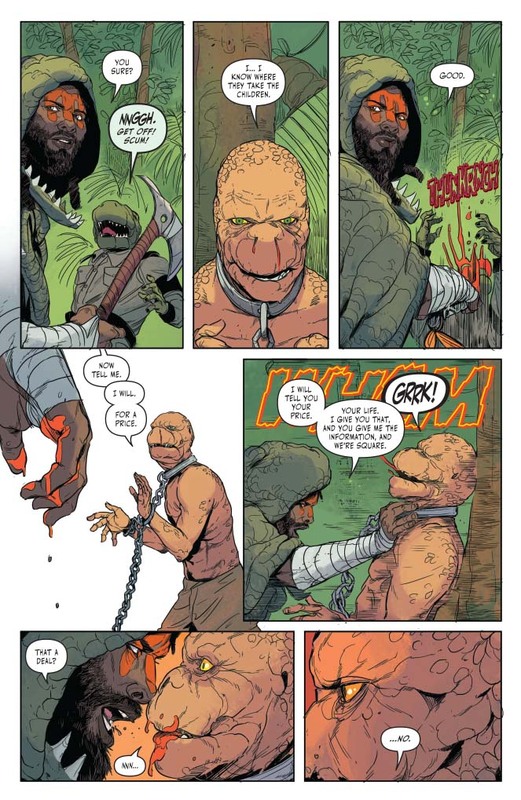 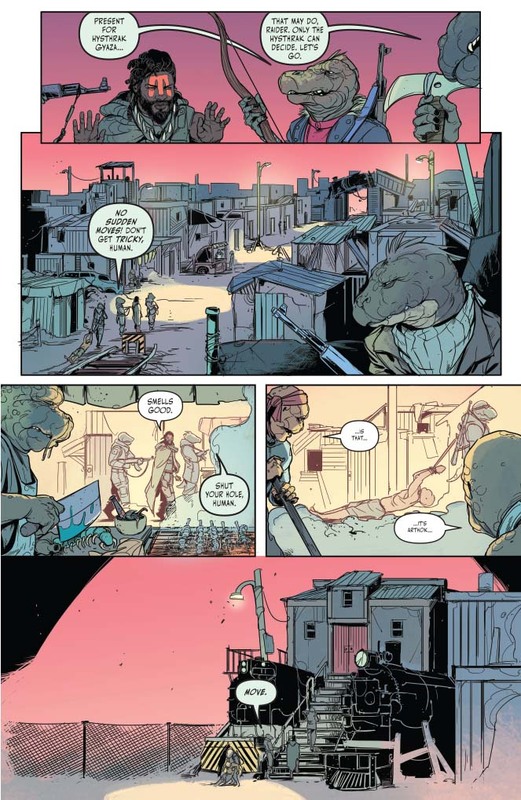 Now Turok must infiltrate a prison camp run by the Varanid Empire in order to get more information about her whereabouts -- and beware, any Varanid soldier who gets in his way - because there’s a reason they call him the Dinosaur Hunter!